The collections at Hackney Archives include a small amount of moving image material, in the form primarily of 16mm cine film and VHS tapes. The collections include some copies of films held elsewhere, but much of the collection is believed to be unique. It includes amateur-style footage, which is believed to have been filmed by Council employees, of civic activities in the period from about 1930 to about 1960, including the building and opening of new housing developments and civic entertainments. 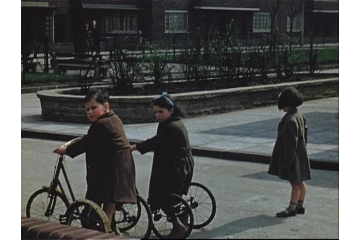 There is also official footage shot or commissioned by the Metropolitan Borough of Hackney, forming part of the records of the Public Health Department in the 1930s and relating to slum clearance and food inspection. The VHS tapes held include films made by local residents as well as by Hackney Council, and date up to about the year 2000. Hackney Archives is the archives and local studies library for the London Borough of Hackney, comprising the former metropolitan boroughs of Hackney, Shoreditch and Stoke Newington. We hold the official records of Hackney Council and its predecessor authorities, as well as deposited collections from individuals, families and organisations from, or connected to, the Borough. We also hold many local studies resources including maps, photographs, local history publications and local newspapers. Access: We are open to the public 5 days a week, as follows: Tuesday - Thursday 9.30am - 5.30pm, Friday 9.30am - 1pm, Saturday 10am - 5pm. 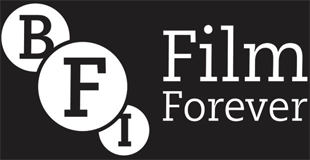 Appointments are not necessary to access most of the collections, although it is advisable to contact the Archives beforehand if you wish to access film footage. Cine films are not viewable on site: only the films which have been copied to DVD or VHS can be viewed. Hackney Archives seeks to acquire unique material in most formats relating to the geographical area included within the current boundaries of the London Borough of Hackney, including audio-visual and moving image material. We may not be able to acquire films where we do not have appropriate equipment for viewing them.